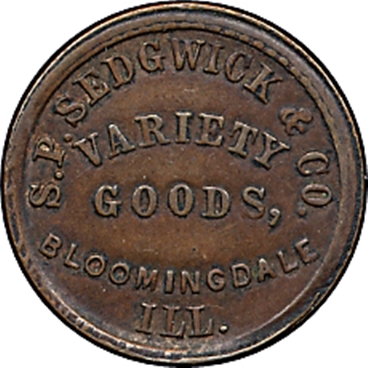 This Civil War Store Card of Bloomingdale, Illinois is ascribed to an unknown die sinker. This token is the only issue known for this city. S.P. Sedgwick & Co. / Variety / Goods, / Bloomingdale / Ill.